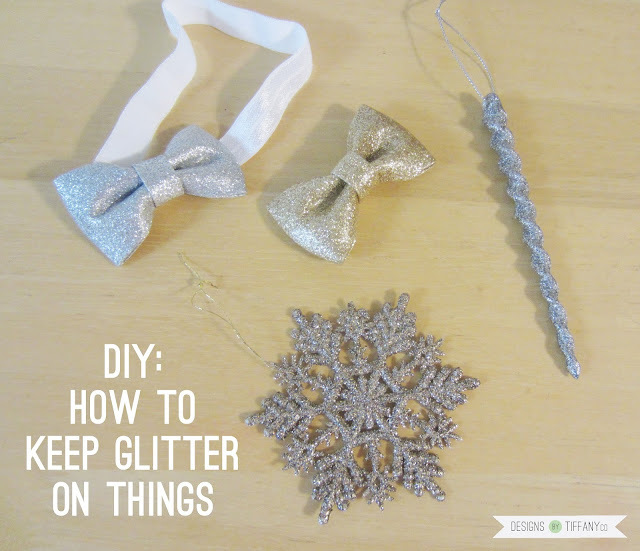 If you’re like me, you like glitter, but HATE the mess it strings around with it! It drives me crazy because it just sticks to everything and even the vacuum can’t get it out! But it’s so beautiful because it’s shiny and sparkly. I’ve heard before that spraying hairspray can make the glitter stay on. And so for years I’ve been putting up with my annoying glittery Christmas ornaments and not letting my daughter put them on the tree because I needed to delicately put them on myself. I mean, once the glitter is gone, it’s gone! There’s no going back unless you want to turn it into an art project. And then it finally dawned on me: use Modge Podge. It’s clear, it’s stable and holds a lot of things together. So onto the tutorial. It’ll literally take you 10 minutes if you have just a few things + drying time. 1. Set out your wax paper and paper plate. Pour some Modge Podge on the plate and set your glitter items on the wax paper. 2. Start painting your items with the Modge Podge. There’s no need for it to be perfect. In fact, I had my 3 year old help me because it dries clear anyways, so no mistakes will ever show through. She had a lot of fun being able to help me “paint.” There’s also no need to use a lot or a thick coat. Just dab a layer on and let it dry. 3. After it dries, you’re done! As you can see, you really can do this to anything that has glitter on it. 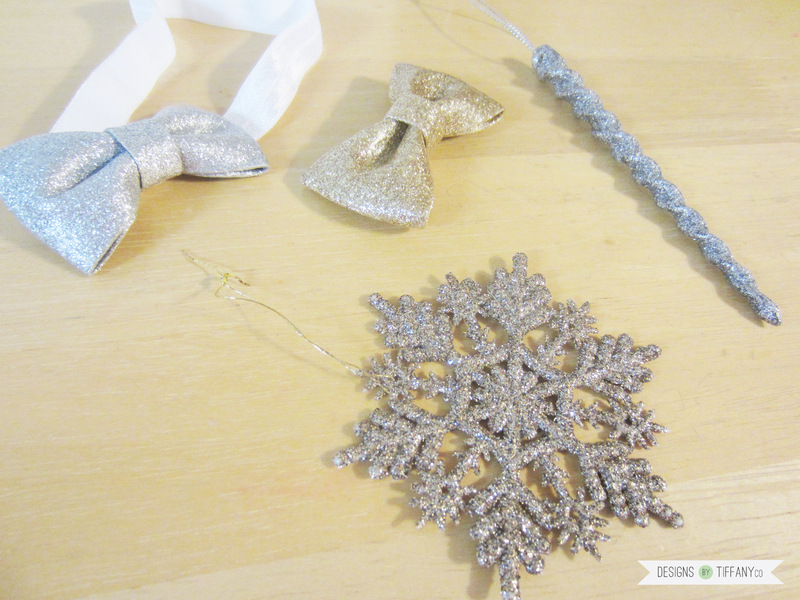 I used it for some bows, magnet clips and ornaments, but the possibilities are endless! No more fallen glitter! Great idea! I'm definitely going to do this! Yes!! I do love glitter but HATE the mess! This is genius. 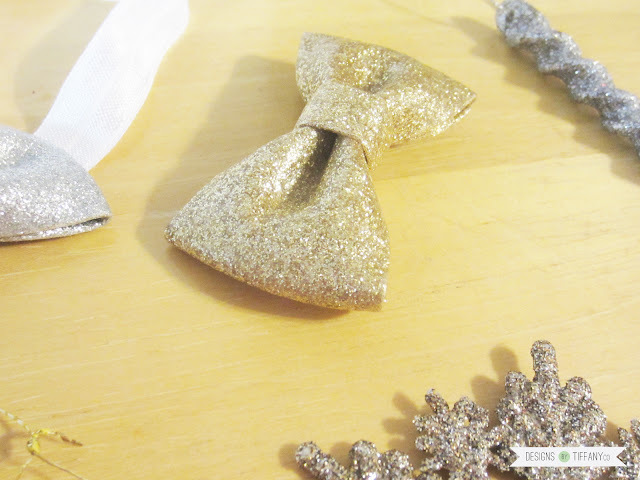 And that gold glitter bow is adorable!